This is my last in my short series of reviews of Father Brown stories, anticipating the BBC series scheduled for 2013. It is again chosen from The Innocence of Father Brown (1911). I will be coming back to Chesterton later, though, looking at the lesser known The Club of Queer Trades. In ‘The Secret Garden’, Father Brown encounters his most surprising, and most implacable adversary, a sworn enemy of his religion. The set-up is a locked room mystery. The great French policeman Valentin, last seen in The Blue Cross, has invited a number of guests to his Parisian home. The house is impregnable, with high walled gardens. Valentin’s house was perhaps as peculiar and celebrated as its master. It was an old house, with high walls and tall poplars almost overhanging the Seine; but the oddity—and perhaps the police value—of its architecture was this: that there was no ultimate exit at all except through this front door, which was guarded … The garden was large and elaborate, and there were many exits from the house into the garden. But there was no exit from the garden into the world outside; all round it ran a tall, smooth, unscalable wall with special spikes at the top; no bad garden, perhaps, for a man to reflect in whom some hundred criminals had sworn to kill. The guests are glamorous and international. Lord Galloway the British Ambassador, his wife, and their daughter Lady Margaret. The dashing Commandant O’Brien, an Irish officer of the French Foreign Legion. The French scientist Dr Simon. The American philanthropist and benefactor of religion Julius K. Brayne. 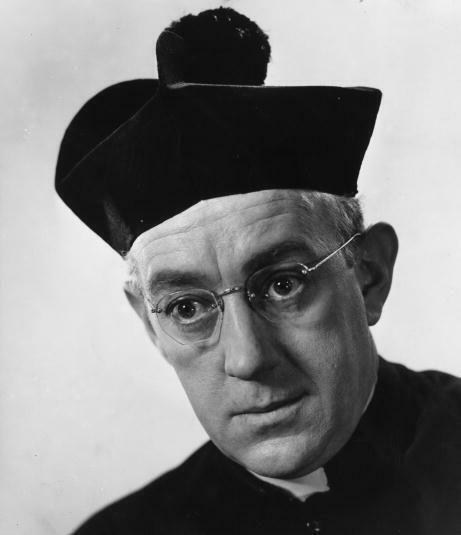 And Father Brown, of Cobhole, in Essex. After dinner, an unidentified body is discovered in the moonlit garden by Lord Galloway. The head has been severed from the body in a way which indicates a long blade was used. O’Brien, owner of a cavalryman’s sabre, has been in the garden, and looks like the most obvious culprit, until it becomes clear that Brayne has disappeared from the group. It is this fifth difficulty which opens up the case for Brown, but the priest would not regard the case as one of his successes. Gallery | This entry was posted in Classic mystery book review, Father Brown, Locked room mystery, Witness Statements and tagged 1910s, classic crime review, Father Brown, G. K. Chesterton, UK. Bookmark the permalink. Rich – Oh, there’s definitely something about those “impossible mysteries” that always keeps one – well at least this one – turning pages. Chesterton creates atmosphere well too. I’m so glad you’ve taken some time to highlight these mysteries; they really are classics. Sounds intriguing! I am clearly going to have to dust off my “complete short stories of G K Chesterton”……..